Discussion in 'the Art of Noise' started by bleuFunk, Jan 9, 2006. There doesn't appear to be a thread on Beck, so i shall start one! Also, i wanted to share my earliest standout memory of Beck, because i found it amusing. It was on MTV back when they played music. This was on 120 Minutes, which was a great show featuring alternative music of the day. This was just after "Loser" had come out. Beck was being interviewed by Matt Pinfield, the host - Matt asked him why he just went by "Beck". Beck's response was to take off a shoe and throw it at the set. It was so random and bizarre that it stuck with me. I honestly didn't think of him much then - i still think Mellow Gold is spotty, so it was a shock (to me) when he followed that with Odelay, which i think is brilliant. How are there no replies to this?!! I adore Beck! Midnite Vultures is probably a favourite..I also enjoy their new one..Guero? Yeah. I love the song Everybody's Gotta Learn Sometimes which was features in Eternal Sunshine. and devil's haircut is so damn good. i swear, this is a song you play on your ipod as you are walking down the street and you feel like you're the coolest person ever. i saw him perform the other night in dallas and most of his band was decked out in dior homme. wish i had some pictures. the guitar player took his shirt off and threw it into the crowd. what a waste, that person probably has no clue. Timebomb is such a great single! If you all haven't heard it, get to listenin'! You will be moving in no time! 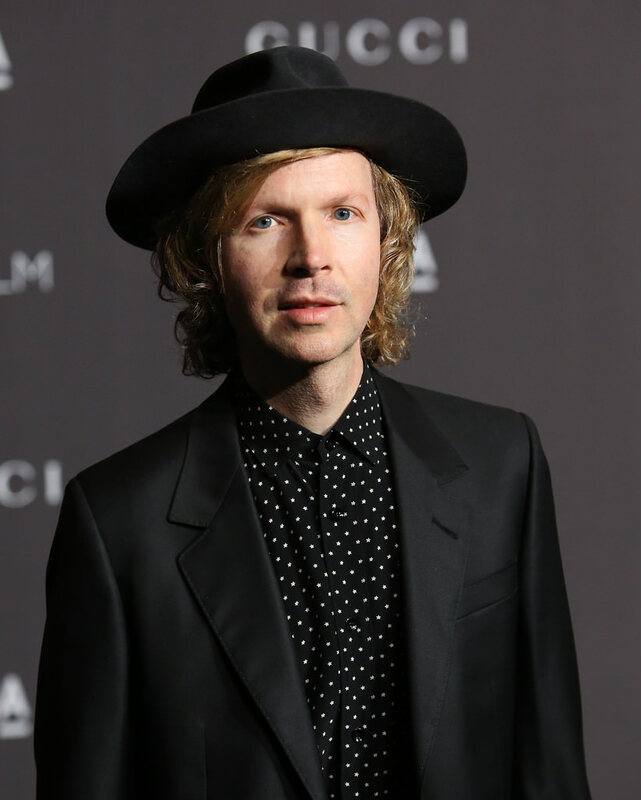 Recording artist Beck, wearing Gucci, attends 2018 LACMA Art + Film Gala honoring Catherine Opie and Guillermo del Toro presented by Gucci at LACMA on November 3, 2018 in Los Angeles, California.